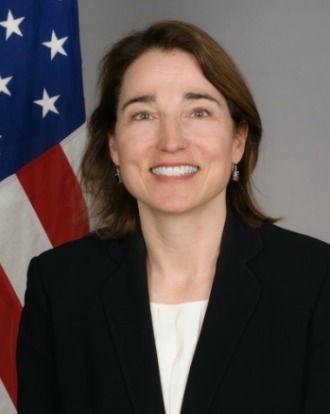 The Global Center hosted a closed-door roundtable discussion with Sarah Sewall, U.S. undersecretary of state for civilian security, democracy, and human rights, on the plans and activities to move forward the follow-on action agenda from the February 2015 White House Summit on Countering Violent Extremism. The roundtable was moderated by Naureen Chowdhury Fink, the Global Center head of research and analysis; and participants included a broad spectrum of civil society actors working on relevant issues, including human rights; conflict transformation; peacebuilding; women, peace, and security; and international policy. A key feature of the discussion was the effort underway to follow up on the development and delivery of countering violent extremism (CVE) programming to support the action agenda. The critical need to update current practices to include a focus on “push” and “pull” factors, such as political grievances and extremist ideologies, that often contribute to the radicalization process was acknowledged. The comprehensive framework reflected in the action agenda was broadly welcomed, with participants supporting the multistakeholder approach and opportunities to work with partners in government, civil society, and the private sector to contextually tailored approaches for a diverse variety of communities. Participants highlighted the vulnerabilities of civil society organizations and initiatives and the need for governments to provide support and security. At the same time, the need to protect the independence and credibility of such organizations, who may not welcome visible partnership with government, was also noted. By involving more than 60 countries, the White House summit underscored the need for strengthened international and regional cooperation on CVE, and Undersecretary Sewall highlighted to participants that the upcoming UN General Assembly session would provide another important occasion to strengthen collaborative responses to this complex challenge.